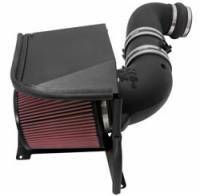 K&N has sold more than 30 million performance high-flow air filters over the last 36 years. Pit Stop USA is The Online High Performance Superstore! 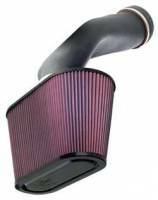 We feature 16" Air Filters at low everyday prices. Pit Stop USA is The Online High Performance Superstore! 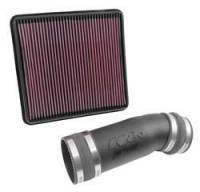 We feature 4" x 2" Air Filters at low everyday prices. Pit Stop USA is The Online High Performance Superstore! We feature 9" Air Filters at low everyday prices. Street Performance USA is The Online High Performance Superstore! We feature Carburetor Air Scoops at low everyday prices. Pit Stop USA is The Online Motorsports Superstore! We feature Sprint Car Breathers at low everyday prices. Pit Stop USA is The Online Motorsports Superstore! K&N Engineering is the inventor and leading innovator of reusable cotton gauze filter technology for automotive applications. Today, K&N Filters is the leader in performance filters including an extensive line of both factory replacement K&N Air Filters, K&N FIPK (Fuel Injection Performance Kits) and K&N Performance Gold oil filters. K&N Lifetime air filters feature High-Flow Technology to help your car breathe easier, giving you the power you crave and it never needs to be replaced. K&N Universal Air Filters are designed and manufactured for a wide variety of applications. K&N Air Intakes are the ultimate weapon in the horsepower wars. K&N Fuel Injection Performance Kits (FIPK) are the world's best flowing, best filtering, high performance "street-legal" air filtration systems and are guaranteed to provide more HP and increased acceleration. 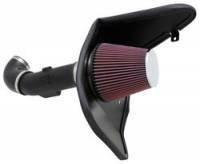 K&N TyphoonA Air Intake System is built for performance and show. 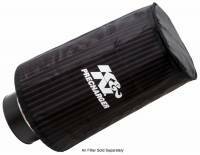 K&N AirChargerA High Performance Air Intakes start with the largest conical shaped High-Flow air filter that will fit into the engine compartment while using factory holes and mounting points. K&N 57i Performance Induction Kits and K&N 57i Series Intake Kits will free your car from the size restriction that comes with the factory air box. K&N XStreamA Air Flow Assemblies, Filters, and Filter Tops replaces the top of your existing round filter. K&N Fuel Injection Style Air Box for Sprint Cars is a must for any racer currently using traditional multi-siamese stacks. K&N Filters for Injector Stacks are available for all popular Kinsler and Hilborn fuel injector stacks. K&N StubstackA Air Filter reduces turbulence, improves metering accuracy. K&N Air Filter Cleaning Accessories include K&N Recharger Filter Care Service Kit, Recharger Filter Care Service Kit, K&N Filtercharger Oil, K&N Cleaner & Degreaser and K&N Sealing Grease. 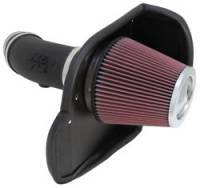 We feature K&N Filters at low everyday prices!